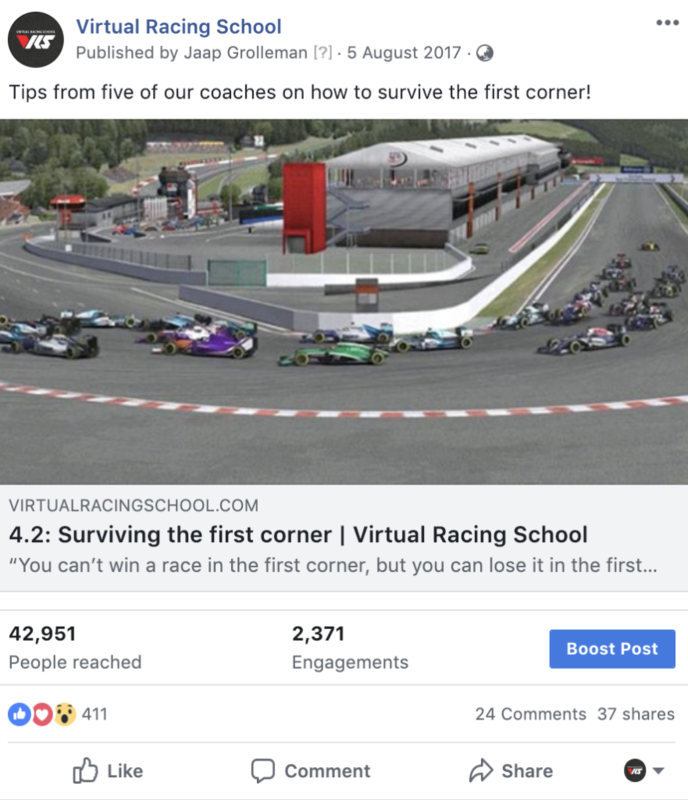 For Virtual Racing School, I wrote over fifty articles and interviews, with successful simracers and professional racing drivers. 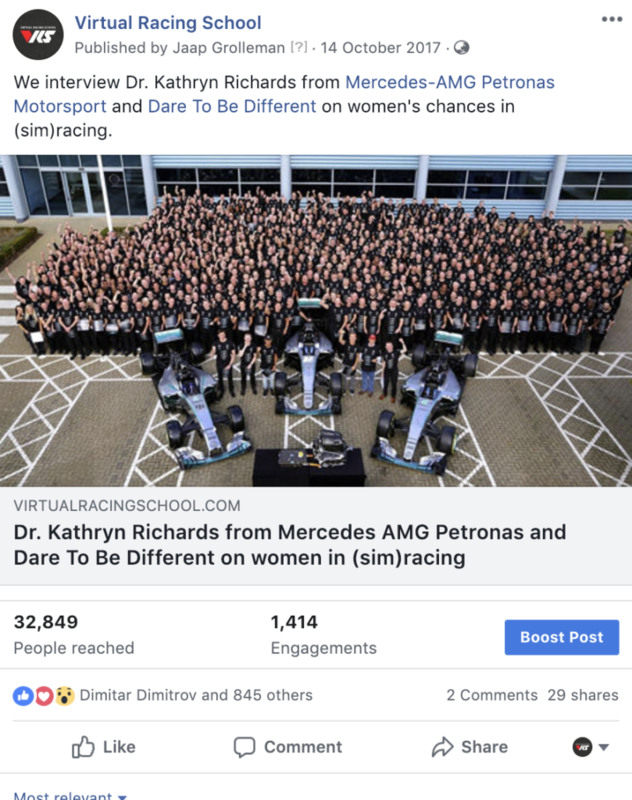 Together with the other staff, we started an online knowledge database labelled ‘the academy‘. 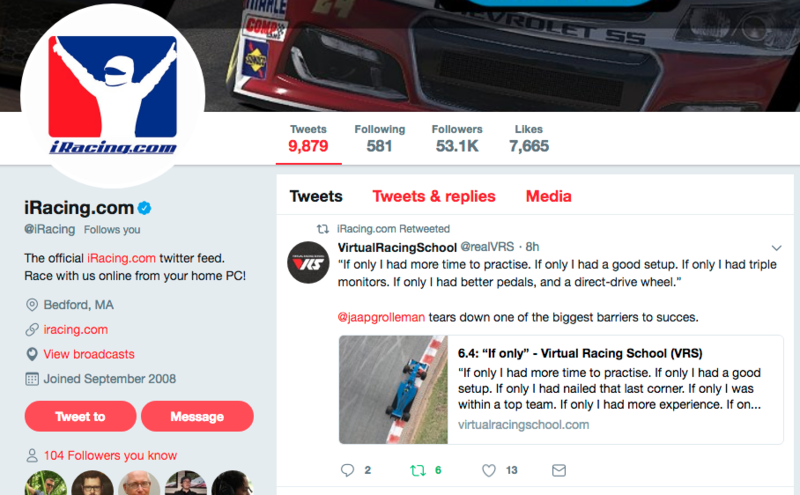 I helped VRS to built its online presence and promoting its telemetry and collaboration software for iRacing. 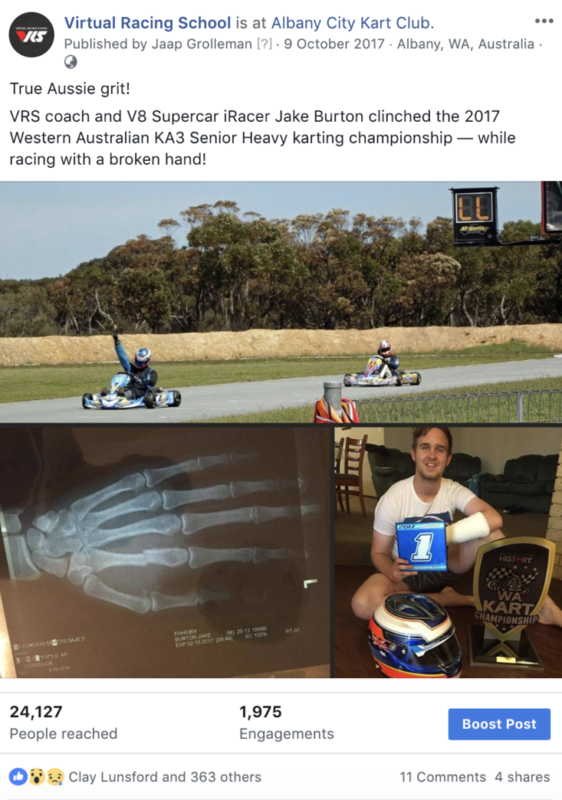 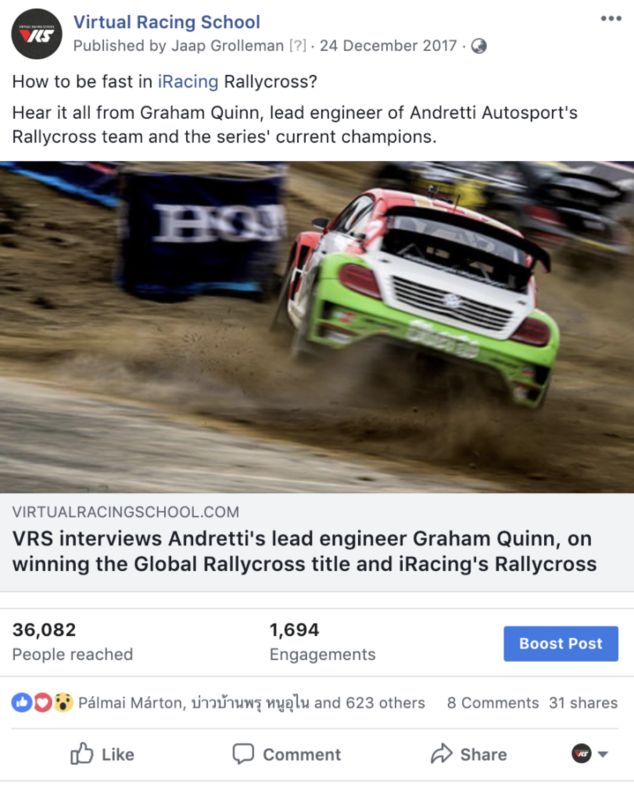 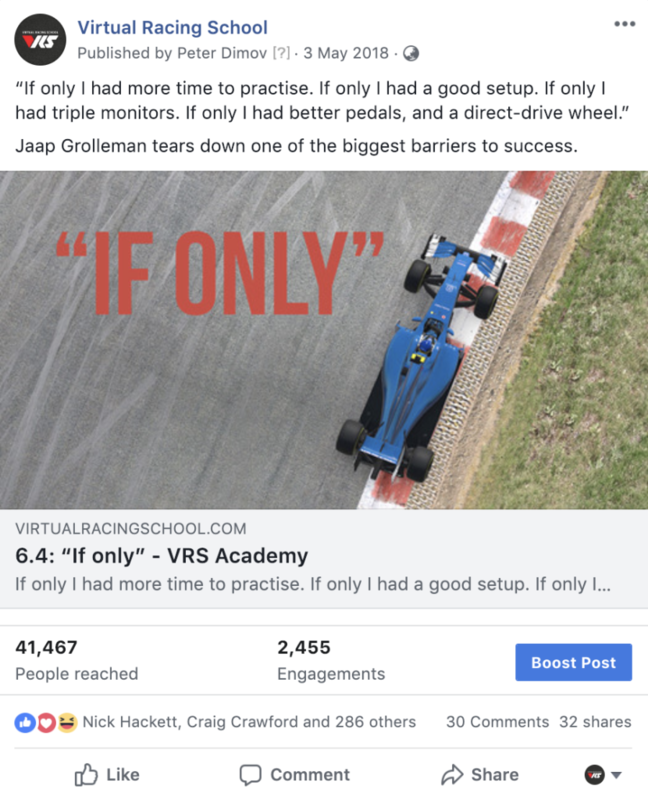 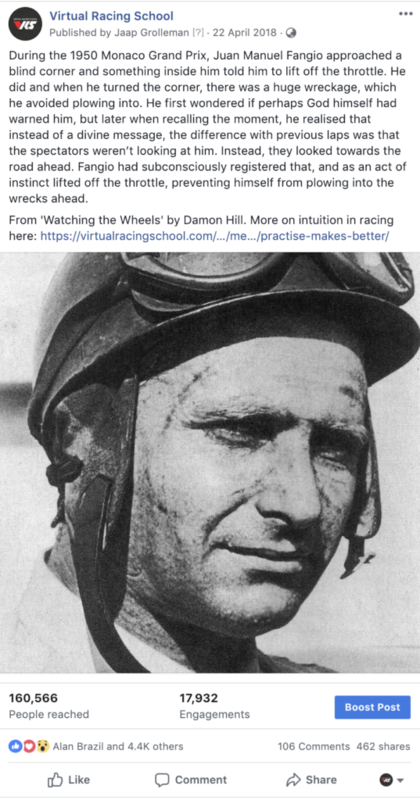 In two years, VRS grew to over thirty thousand followers and a weekly reach nearing a million impressions, making Virtual Racing School one of the well-known brands in this niche market.